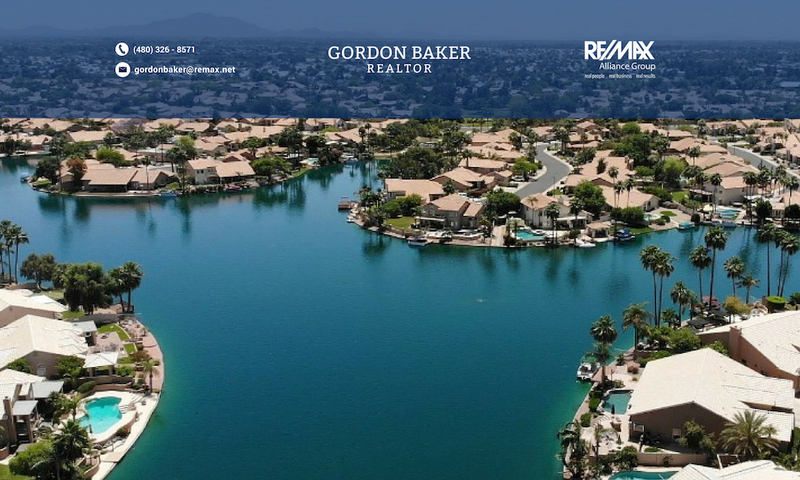 In the current environment, if you talk about Phoenix real estate, bank owned and short sale properties must be part of the conversation, and this has obviously impacted waterfront homes and lake community properties throughout the valley. The differences between these two types of distressed properties are significant, but both represent opportunities for those looking for homes at below market prices. In the majority of cities in the valley, bank owned (REO) and short sales represent the majority of the sales. The chart to the left shows the bank owned homes and short sales as a percentage of total sales for the month of June 2009 by city. Bank owned homes are also known as REO (Real Estate Owned), foreclosures, or corporate owned. They have been through the foreclosure process and sold “as-is”. Because there is no seller disclosure, it is even more important to perform the due diligence which includes a home inspection. All buyers should become familiar with the Buyer Advisory. Once you place an offer on a bank owned property, you can expect to hear a response in 3 – 5 business days from the asset manager who communicates with the listing agent. A short sale or preforeclosure has not been through the foreclosure process and is not bank owned, even though the lien holders will have to approve the short sale. By definition a short sale is when the proceeds of the sale will not be sufficient to cover the outstanding loans which is why the lien holders need to approve the sale. The proceeds of the sale are “short” of the total amount owed. A couple of important considerations for short sales. One, the list price you see advertised has NOT been approved by the bank. It is typically an amount set which will entice a buyer to submit an offer so the package can be submitted to begin what is commonly a 3 – 4 month process before a response is received. Secondly, the seller must “qualify” for a short sale and that may not be decided upon until the process is in the second month after the necessary documentation has been submitted. The seller must demonstrate a financial hardship by supplying documentation similar to when they purchased the home. Reasons for short sales not closing include a seller who cannot qualify for a short sale, lien holders or investors that cannot agree upon the distribution of the proceeds of the sale, or not being able to postpone the auction date of the property. Short sales are also sold in “as-is” condition. Foreclosure or bank owned homes and short sales represent opportunities for buyers wishing to find a property at a discount. Short sales involve more risk because of the delay in receiving a response which may be that the seller is not approved for a short sale, a counter offer from the bank significantly different from the offer price, and the uncertain timing. Those considering purchasing a short sale or preforeclosure must be extremely patient and flexible in their ability to close once the agreement notice authorizing the sale is received. A buyer will wait and wait and wait for months and then receive a letter saying they must close within 3 weeks. If after considering the risks involved in purchasing a distressed waterfront property, you are looking for bank owned or foreclosed waterfront homes in the valley, click on Valleywide Bank Owned Waterfront Homes. Or click on View Short Sale Waterfront Homes. One important point when viewing short sales in the attached link or other real estate websites such as Realtor.com is that a short sale listing may show as active, but in reality the seller could have already received an offer, accepted it and forwarded it to the bank. The reason is that when a short sale has an accepted offer that is signed by the seller, the status in the MLS is typically changed from Active to AWC which stands for Active With Contingency, the contingency being the bank/lien holder approvals. The problem is that the the real estate websites and portals do not distinguish between the Active and AWC, and show both as Active. This presents a misleading representation to someone viewing listings seeing low priced short sale listings that appear to never sell when in fact an offer has been accepted and are waiting for the 3 – 4 month process. This is why it is important to receive listings from a Realtor who can e-mail the MLS listing which properly reflects the status of the property. For more information or to receive distressed sale home listing by e-mail, don’t hesitate to call or e-mail me. Next PostNext Loan modifications – Not moving fast enough, why?